With veteran actor Suniel Shetty’s son Ahan Shetty stepping into the world of Bollywood with his debut film, his father has taken to his social media account to share some words of wisdom for him. "Congratulations Phantom! A new journey begins today my baby. No matter how you feel. Get up. Dress up. Show up. Scream, Cry, but never give up! Ahan Shetty, Sajid Nadiadwala," Suniel tweeted. Ahan will reportedly make his debut with the remake of Telugu hit "RX 100", which will release in 2019. Actress Athiya Shetty, Ahan's sister, also tweeted in support of the newcomer, saying she will always be his biggest cheerleader. "Baby brother, I wish you nothing but the best. All the love and success, but most importantly, every bit of happiness, patience and never ending faith. I will always be your biggest cheerleader, forever and ever. May you shine so bright, my Junior. Keep it real." A post from the official Twitter account of Sajid Nadiadwala's production banner read: "Lots of love and a big warm hug is how you were welcomed to the NGE Family and now kickstarting an exciting journey ahead! 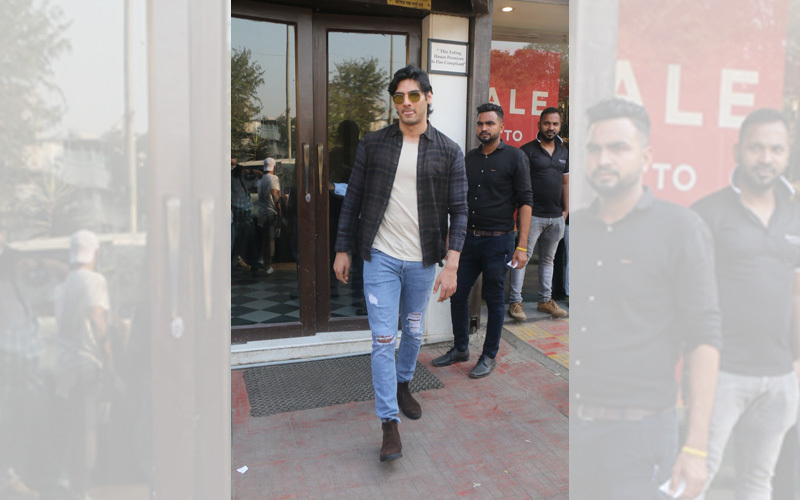 A GRANDson launch for Ahan Shetty".